Breitling will mark the 30th anniversary of its Chronomat with an exhibition in Singapore documenting the evolution of its signature timepiece, beginning with its origins as a chronograph made for the Frecce Tricolori. Breitling was one of the key innovators in creating the modern chronograph – Gaston Breitling invented the two button chronograph in 1934 – but fell on hard times during the quartz crisis. One watch that deserves much credit for reviving Breitling’s fortunes is the Chronomat, becoming one of the most recognisable watches of the nineties. In fact, the Chronomat was arguably one of the pioneering luxury sports chronographs. In 1983 Breitling unveiled the first modern Chronomat, made for the Frecce Tricolori, the aerobatic demonstration team of the Italian air force. Though Breitling had used the name in the past, the modern Chronomat was nothing like its predecessors. 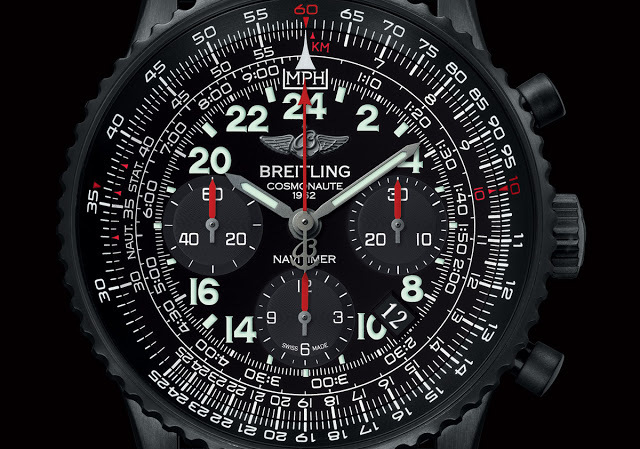 It was large and distinctive, with rider tabs on the bezel that have become a Breitling trademark – setting the template for Breitling’s interpretation of a pilot’s watch. A year later the Chronomat joined the regular collection and it has since gone on to become one of Breitling’s most recognisable watches. Now Breitling will mark 30 years of the Chronomat with an exhibition charting the evolution of the timepiece across the decades. In addition to the Chronomat, the exhibition will also include key timepieces from the current collection, including the Navitimer. The exhibition will take place from August 14 to 18 at the Atrium in Paragon on Orchard Road. Open from 10:30 am to 10:00 pm daily, it is open to the public.